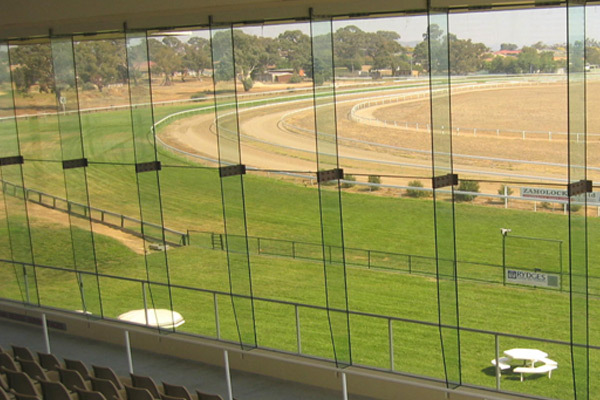 Constructed for the Queanbeyan Racing Club, this grandstand, uniquely in Australia is fully enclosed. The glass curtain wall is suspended from the roof steel by a hanging bracket system and affords protection to race goers in all weathers. The project also included refurbishment of the betting ring and administration areas. To ensure that the roof would carry the weight of the curtain wall, the Company’s Structural Steelworker and Glazier worked closely with the Project Engineer on design sufficiency issues.